Without fail, my favorite projects are always the ones that are born without rhyme or reason. This particular tutorial came about while I was driving a few weeks ago. Apparently, sitting in a car is prime time for crafty thoughts. My initial plan was to assemble twigs into anchors and wrap them with yarn, inspired by Anthropologie’s monogram yarn-wrapped twig ornaments. Instead, my stash of dried flower crowns caught my eye. I’ve made quite a few while working with WorkshopSF at different events this past summer (Treasure Island Music Festival & the SF Street Food Festival, to name a few). Made of myrtle leaves, baby’s breath, and sweet william, the crowns dry beautifully. And so this project was born. 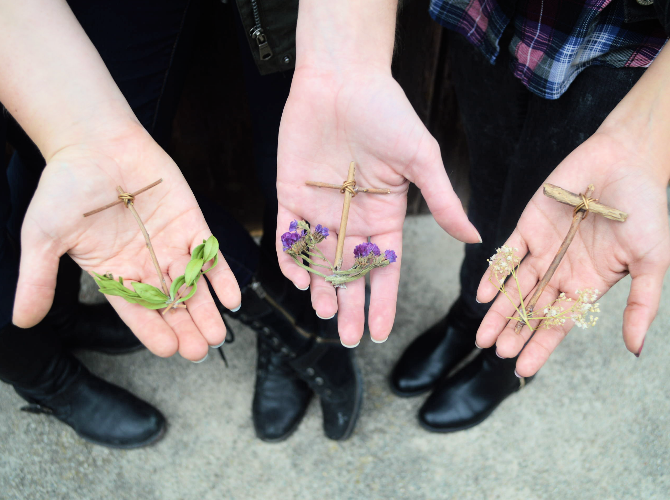 Some of the twigs are from the Redwoods of Northern California, while everything else is from around the Bay Area. This is an awesome way to showcase your nature finds, especially if you’re like me and somehow end up looking for craft supplies while hiking. I know I can’t be the only one… (I hope). 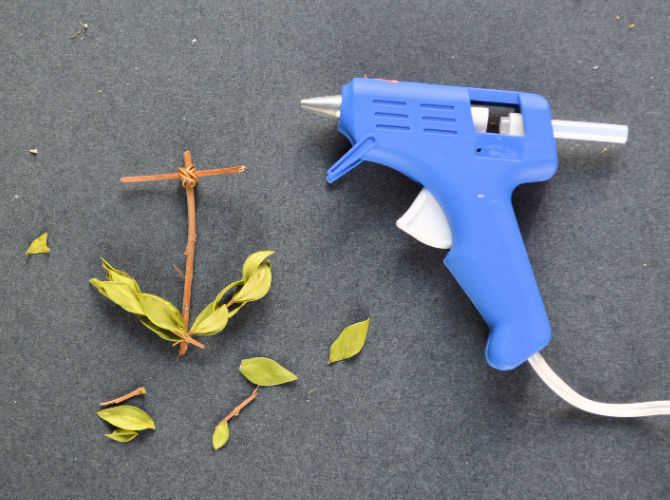 1) Glue a short twig to the top 1/3 of a longer twig. 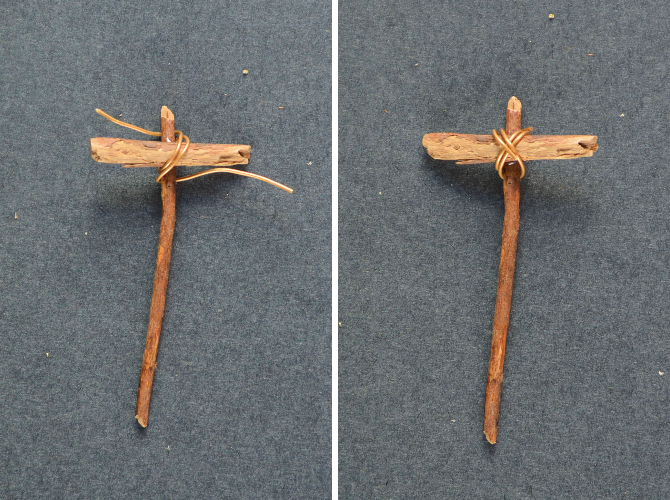 2) Diagonally wrap a strand of craft wire right where the twigs cross. 3) Bring each end of the wire to the opposite side. The top end goes under and to the left, while the bottom end goes under and to the right. Refer to left photo above. 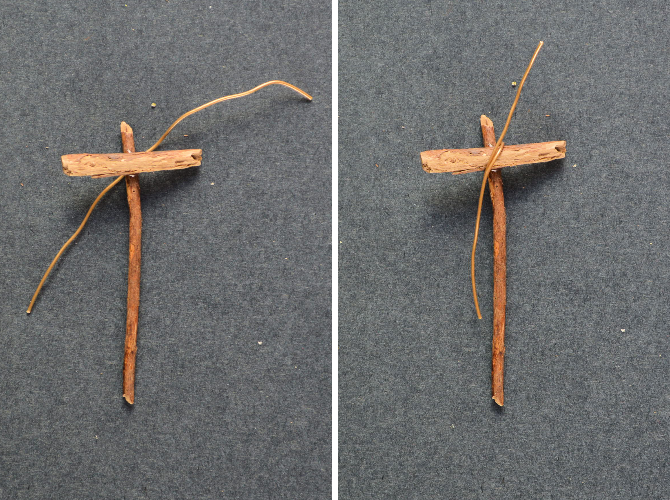 Diagonally bend each end towards each other and across the crossed twigs. 4) Now, here’s the fun part. 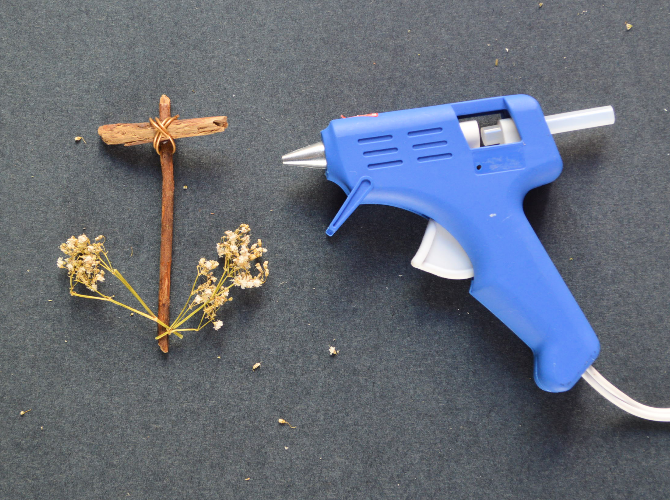 Glue the stems of dried flowers to the base of the long twig. 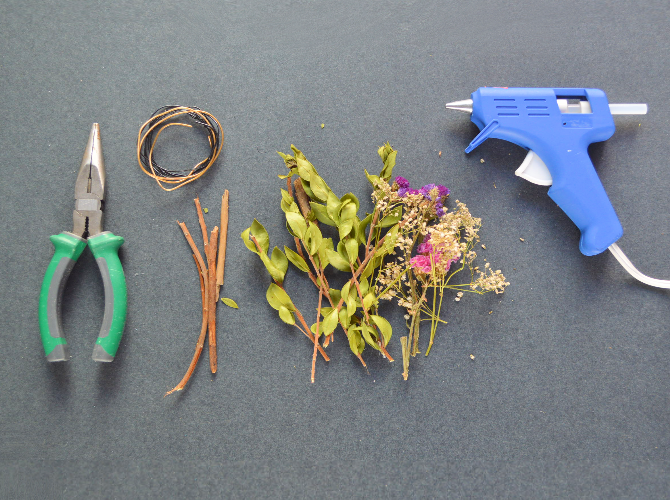 When necessary, you can trim the down the stems with scissors or the cutting portion of the pliers. More often than not, the sides will not be symmetrical. Don’t focus on trying to make that happen. You’re working with natural elements, after all! Instead, embrace the asymmetry and let the flowers speak for themselves. 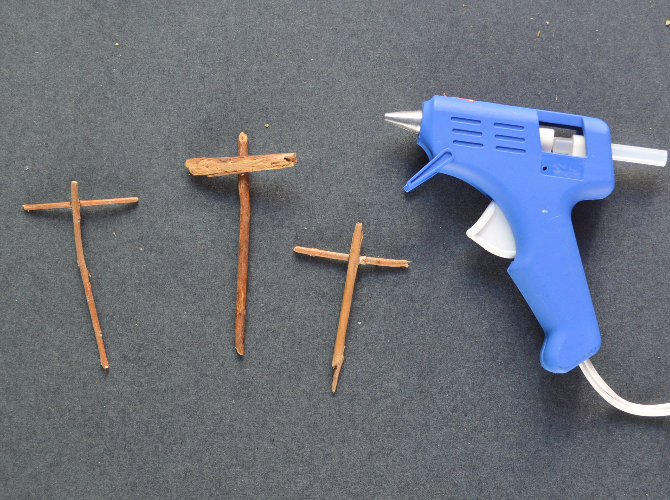 Remember, a little hot glue goes a long way. You really don’t need too much to keep each in place. Once you’re done, tie a strand of string to turn these babies into ornaments or (delicate) gift tags. You can also use them as place card name tags post-holiday season. Or, you can just sit and stare at them. That works, too. 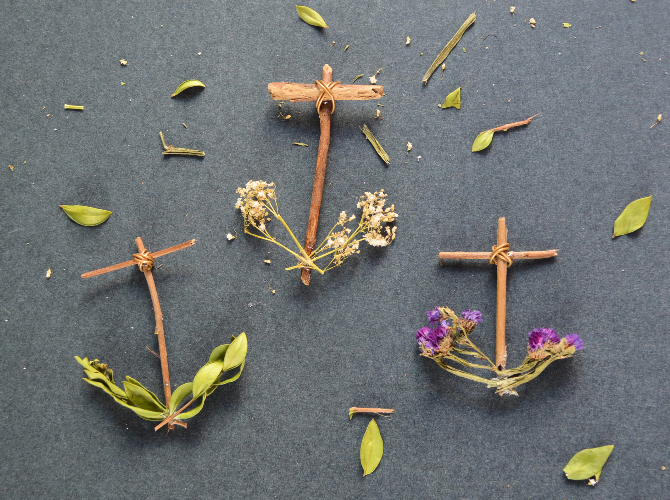 Another idea is using them as embellishments for a wreath made with burlap or leaves. 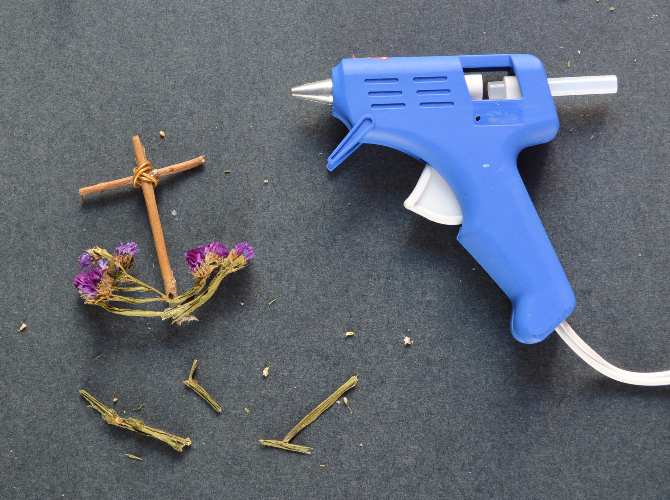 You can also string a couple together to create a darling garland. Basically, these are perfect for the holidays and then some.